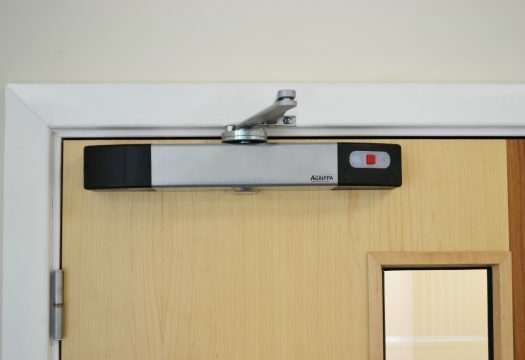 The Agrippa fire door closer is fitted in place of a traditional door closer to hold the fire door open in any position, whilst ensuring the door will close in the event of a fire. 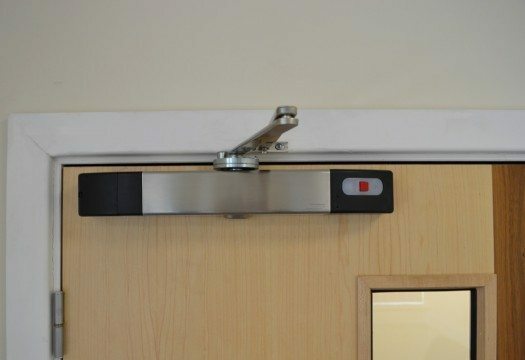 It is a ‘free-swing’ device which makes heavy fire doors resistance free, light and easy to move. The closer is battery-powered and features an LED display screen to make maintenance easy. The screen will display a low battery warning and can also be used to set up a daily timed release to make sure all fire doors are closed at night. The closer will not hold the door if the batteries run out of power. 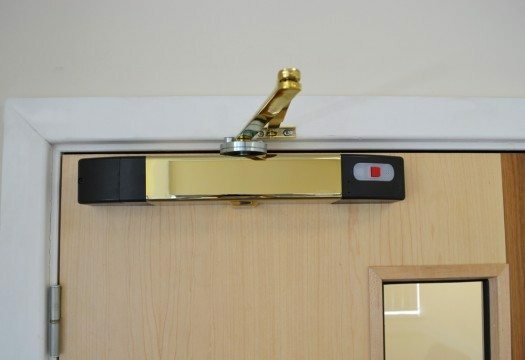 The Agrippa fire door closer enables the door to be held open in any position within 60-105 degrees; this allows users to hold the door slightly open, which prevents feelings of isolation in a care home, for example. The red button on the unit is used to manually close the door. Now dual mode – Ready to protect straight from the box, ready to learn the sound of your fire alarm. The Agrippa closer uses ‘listen and learn’ technology to record the specific sound of the building’s alarm, ensuring the doors will only close upon hearing this exact sound. This means the device will not react to any other loud noise from vacuum cleaners or school children for example. 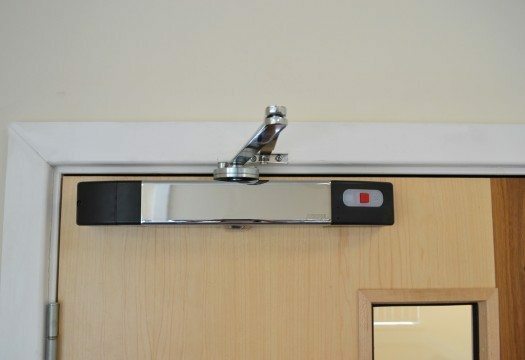 The Agrippa fire door closer is particularly suitable in environments where minimal disruption during installation is desired such as care homes, schools and hotels. View our online, step-by-step installation video here. The closer is recognised by UK Fire and Rescue Services and the London Fire Brigade, suitable for installation to BS 7273-4 Standard Actuation (Category B) and conforms to EN1155 and EN1154 and is CE marked. 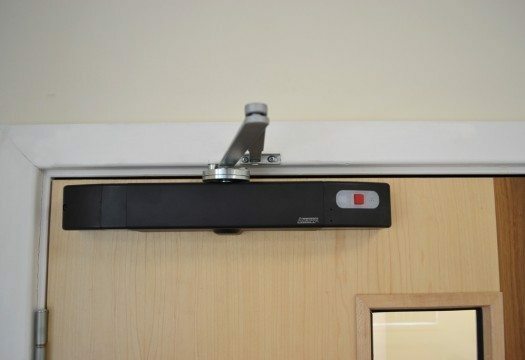 The Agrippa fire door closer is designed and manufactured in the UK, should you need any help or advice regarding the device, please contact us. The closer is part of the Agrippa suite of products, which also includes a magnetic fire door holder.